Wednesday 6th June 2012 will go down as a significant day in the illustrious 39 year history of MUGEN in World motorsport. 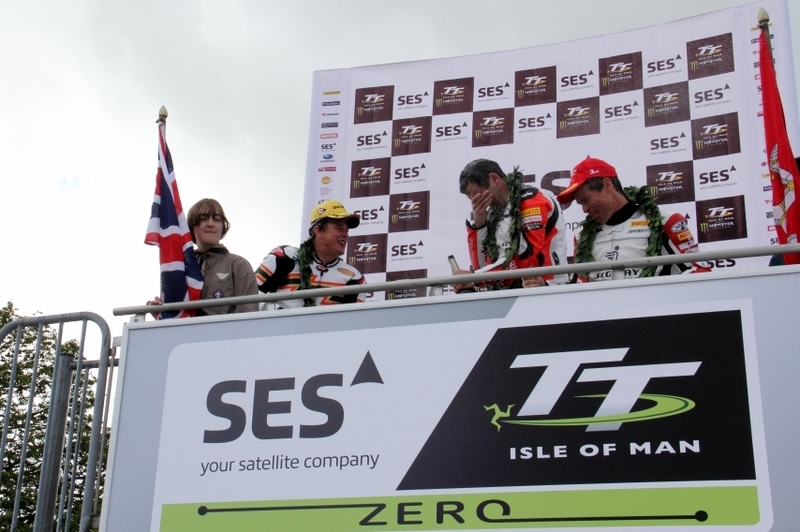 Team MUGEN competed for the first time in the TT Zero Challenge, for zero emission EV bikes, at the gruelling 37.73 Isle of Man TT course, with the MUGEN Shinden. Due to poor weather on the island affecting the TT schedule the first practice session for TT Zero had to be cancelled. This left Team MUGEN with the opportunity to do just one lap in practice prior to the race. However, the MUGEN engineers used the data gathered from the one lap, completed at just under 97mph, to good effect and calculated a strategy for the race. With two 2012 TT wins already under his belt the (now) 19 times champion, John McGuinness took to the line with the MUGEN Shinden machine on a journey into the (relatively) unknown. A fraction under 22 minutes and 9 seconds later, having recorded a speed of 128.8mph at the Sulby speed trap, McGuinness crossed the finish line at 116mph, recording a magnificent average lap speed of 102.215mph and the second fastest lap of all time for an EV machine. With a brand new design of machine, and having never been on the roads of Isle of Man before, Team MUGEN were understandably delighted with such a result with such limited data to draw upon. Team MUGEN principal, Satoshi Katsumata said after the race “this is a fantastic achievement for all our team, and a result that justifies the great efforts and support of everyone connected with the MUGEN Shinden TT programme. To have completed two trouble-free laps and to break the 100mph barrier is maybe more than we could have expected. We came here for the experience and to learn; this achievement is for everyone concerned both here at the race and at home in Japan to share”. 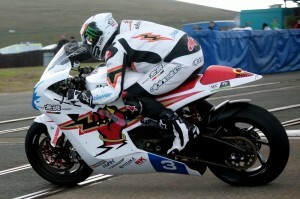 The MUGEN Shinden bikes will now return to Japan and there are no plans currently in place for further races. 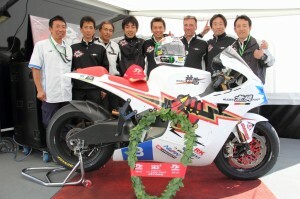 The Shinden programme was launched as a multi-year project, and Team MUGEN hopes to return to Isle of Man in 2013 and be even more competitive.